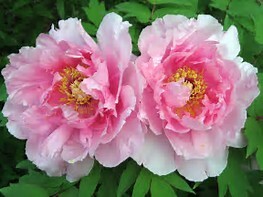 The papery flamboyant blooms and interesting foliage of tree peonies gives the impression that the plants are delicate. Thankfully, the complete opposite is true. Tree peonies are long-lived, hardy shrubs provided they are grown in a suitable spot. The common name is misleading as they are not trees but deciduous shrubs. Tree peonies are very hardy. 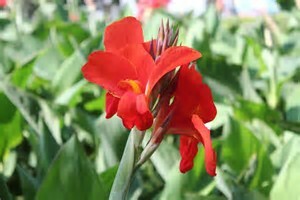 However, the foliage and flower buds can be damaged by late frost so avoid frost pockets. Choose a sheltered position to prevent branches being broken off by strong winds, especially when carrying large bloom. They prefer neutral, humus rich soils, but they will tolerate slightly acid or slightly alkaline soils. Good drainage is essential. Where drainage is poor, consider planting in raised beds, ideally in sunny position.